Here we get two CD's but basically all they are, are cut and paste jobs and the job done could have been better as the joins on both discs are very noticeable, no care has been put into these at all! So what do we get, Volume 1 is the Opening Night 26th January 1970 taken from the "Fort Baxter CD" "Walk A Mile In My Shoes" & the CD "True Love Travels On A Gravel Road" so nothing new or to get excited about. 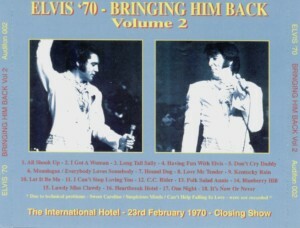 Volume 2 is the Closing Show 3rd February 1970 taken from the afore mentioned "True Love Gravels On A Gravel Road" & Fort Baxter's CD "Electrifying" CD and the editing here to paste it all together leaves a lot to be desired. 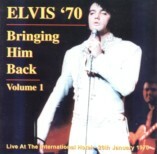 Sleeve notes tell us "Due To Technical Problems - Sweet Caroline - Suspicious Minds - Can't Help Falling In Love - were not recorded" more like note been released yet on another CD? These are being sold for around �17.00 so be aware of what you're buying! This like the '97 Audience recording of the show gives you the chance to hear the concert for your self as BMG & EPE don't seem to be too interested in releasing anything from these shows we have to put up with inferior audience recordings and this is one of them the sound isn't as good as the first to be released but you can still hear everything that is going on. But the main bit I suppose for collectors of this type show is the first disc with the new material on it & of course Lisa Marie's song "Nobody Notices". Not on my top 10 must buy albums but not too bad all the same. 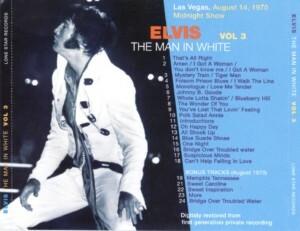 Las Vegas 14th August 1970 Midnight Show. This show Elvis starts to relax a little after all the MGM cameras start to pack up, he obviously begins to feel more at home with the audience. Although there appears to be a little distortion on the first few tracks it evens out as it goes on, not the best audience recording sound wise but a great show and a worthy addition to your collection if you like the live shows especially the early ones.. 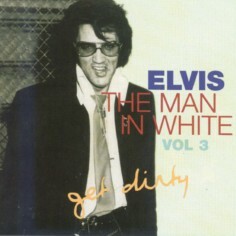 The highlight has to be Elvis drifting into "You Don't Know Me" through "I Got A Woman".. 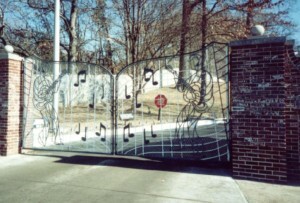 The revised edition of the audio tour of "Graceland" with Lisa Marie telling of a few of her memories at Graceland, the previous version has been doing the rounds for a long time enterprising soul managed to steal one of the audio tapes from the machine given to them while they toured the house, obviously they had some security measures to stop people just taking the tape out of the machine. That soon became a high seller on the fan collector's circuit. Then "Graceland" went a step better by going digital so fans couldn't just pinch a tape out of the player and walk off with it. 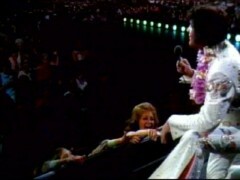 But there is no stopping some fans for now the new digital version is now out among fans, and I must say very enjoyable to listen to, my first trip to Memphis in January 2001, I took the usual "Graceland Tour" but only listened to part of the recording as I was more interested in seeing everything in Graceland. 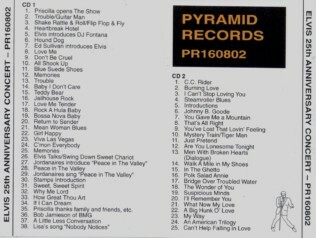 Now after hearing the recording which by the way incorporates clips from a couple of Bootleg CD's by they way! I found the 60-minute tour very informative. The CD version of this tour has a couple bonus tracks tagged on the end, obviously just for the fun of it, see below for full track listings. Just outside the ticket office is a shuttle to take guests across Elvis Presley Boulevard to enter Elvis' 14-acre estate. With the new digital audio guide featuring the voices of Lisa Marie and Elvis, guests enjoy a specially produced audio tour presentation and even more information on specific exhibits and items of interest. The mansion tour consists of the living room, music room, Elvis' parents' bedroom, the dining room, kitchen, TV room, poolroom, and "jungle" den in the main house, and, behind the house, Elvis' racquetball building and his original business office. Recently opened was a section of the mansion that was previously closed to the public. The tour now includes never-before-seen items like the desk from Elvis' personal office and an extensive collection of his stage costumes. 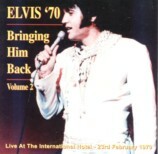 An interesting CD compilation to say the least, focusing on August 16th 1977 the day all Elvis fans remember, or know about if you are too young to remember. 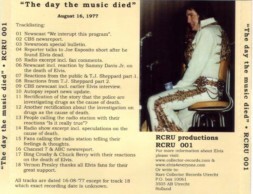 A selection of news reports from the day "The Music Died" the sleeve notes state most of the material on this CD has never been released before, this is true to a degree, but a lot has been around on various videos of TV reports that have been in fans hands for that very day, they just haven't been transferred to CD until now. 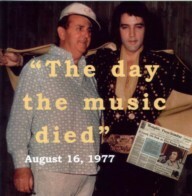 It's not going to be one of the most talked about Elvis CD releases of present times, but it is an interesting piece of history, that many fans may never of heard and some may find it a little morbid or sick as to why anyone would want to produce something like this, others will find it intriguing to listen to the events of that fateful day in August all those years ago. The artwork isn't that entirely eye catching for the content of the CD, on the inside they have some photo's of the various news papers from the time, perhaps they may have been better used as a front cover?